Horsepower is great, no, horsepower is awesome, yet there’s a lot to be said for slowing your pace down a bit. 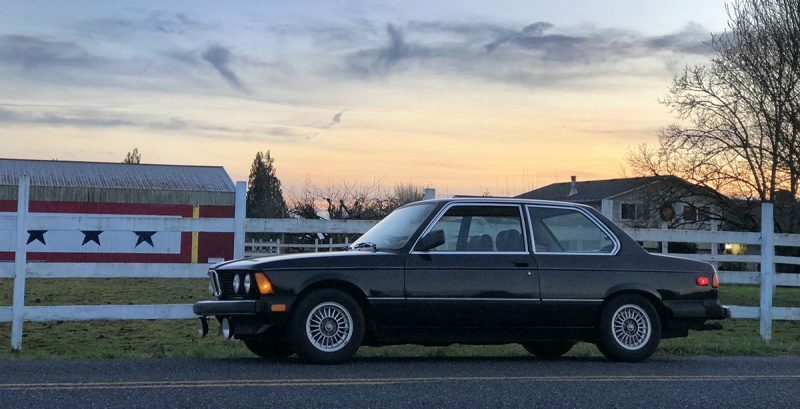 The case in point is our 1983 320i. 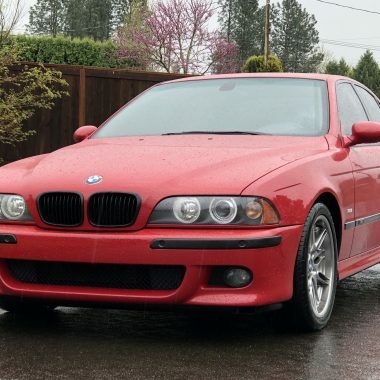 It’s normally aspirated 4 cylinder with K-Jetronic fuel injection left the factory with 101 horsepower, so it may not have quite that many today, with just over 235,000 miles on the odometer. Even though I’ve got a couple of almost 400hp beasts in the garage, there is something so engaging about taking the e21 for a spin. 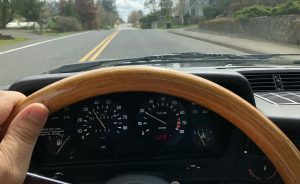 This is such an analog experience: no computers anywhere, no GPS, no power steering, no power anything. Even the windows and sunroof open with a mechanical crank, and the radio doesn’t work at this point in time. 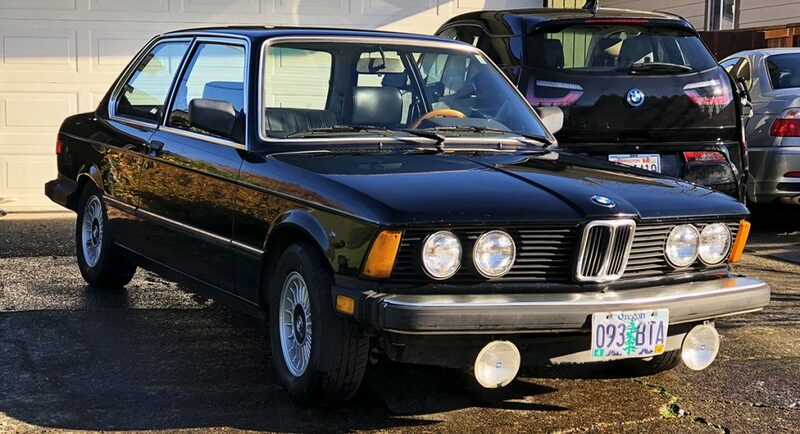 Thanks to Jason at Bavarian Auto Works in Vancouver, Washington, my e21 is starting and stopping just fine these days. And now that it’s warming up in the Pacific Northwest, driving days are here. The little four starts right up and eases into an idle immediately. The first thing you learn when getting behind the wheel of a fully manual car, is that it must be rolling just a bit to steer. Unless you’ve got arms like King Kong. 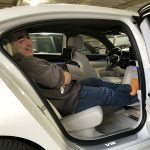 Yet once rolling, the steering is relatively light to the touch and connected to the road in a way that your new BMW will never be. Even on lousy tires (more on that later) the car communicates exactly what it is doing, leaving nothing to doubt. Up above about 20 mph, the car is a sheer joy. 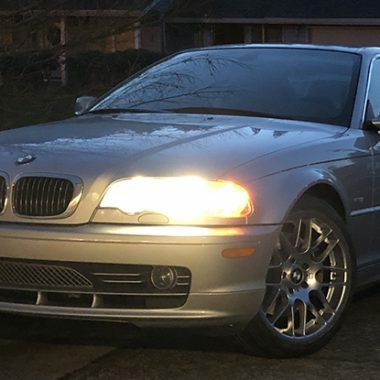 Not having a big turbocharged six makes you work for it a bit more and that 5-speed Gertag transmission still shifts smoothly (though a short shift kit sounds like too much fun) and again, requires a level of deliberation that you’ll never have in today’s 320i. When it’s all said and done, slowing to sub-light speeds and taking in the scenery is incredibly plesant. About 20 minutes into the experience, you notice things in the countryside that you don’t catch right away when streaking by.